In advance of single-game tickets going on sale Wednesday, the Bucks today unveiled a new marketing campaign: Built to Stay. While the Bucks previous campaign, “Own the Future,” was about reconnecting the team with the community and creating hope for the future, “Built to Stay” is about bringing those promises to life on the court and in the community. With global superstar Giannis Antetokounmpo, new head coach Mike Budenholzer, postseason appearances in three of the last four seasons and a new world-class arena to call home, the Bucks are Built to Stay. The widespread campaign, developed with Milwaukee-based agency Laughlin Constable, will be featured on TV, digital, radio and outdoor starting today. 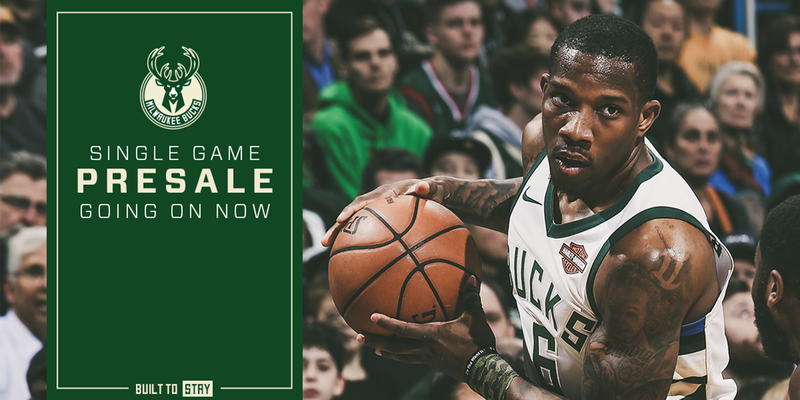 Due to record season-ticket sales for the Bucks 2018-19 season, there will be limited single-game tickets for many games. Fans are encouraged to buy tickets now to avoid being shut out by waiting to purchase tickets closer to the date of the game. Fans can also register now for an exclusive presale to purchase single-game tickets ahead of the general public by visiting www.bucks.com/single. Key home games to note for the Bucks this season include the first-ever game at Fiserv Forum against the Indiana Pacers on Oct. 19, a matchup against the two-time defending NBA-champion Golden State Warriors on Dec. 7, the lone visit to Milwaukee by the Boston Celtics on Feb. 21, a St. Patrick’s Day matinee vs. the Philadelphia 76ers on March 17, a visit from LeBron James and the Los Angeles Lakers on March 19 and a matchup against reigning MVP James Harden and the Houston Rockets on March 26. Fans can secure tickets to all 41 regular season home games at Fiserv Forum this season through the purchase of a full-season ticket membership. For more information on all of the benefits to being a Bucks season ticket member, or to purchase, visit www.bucks.com/full.